Brush up Agent 47’s marksman skills with two clean sniper shots. 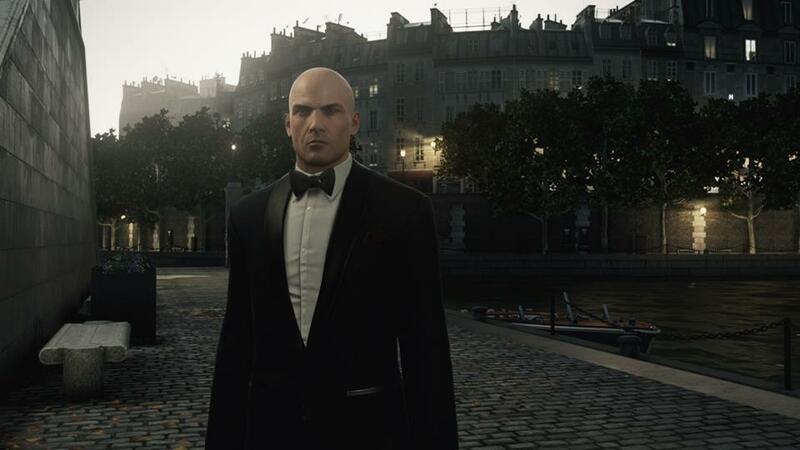 There’s a lot of ways that you can take out Victor Novikov and Dahlia Margolis, the targets on Hitman’s Paris-based The Showstopper mission. One of the most satisfying makes use of one of the most traditional assassination weapons – a high up vantage point and a lovely high-powered sniper rifle. We explain how to do it. This assassination challenge is simple enough. All you need to do is assassinate both of the targets with a sniper rifle with a wrinkle – the pair must die within 10 seconds of each other. First thing’s first: you’ll need to have achieved Level 5 Mastery in Paris to even attempt this challenge, as that’s the base line for unlocking the Jaeger 7, which is the first Sniper Rifle in the game. If you’ve played other levels before this challenge they may have unlocked other sniper options. Ensure you’re carrying a lockpick, as without it this challenge becomes significantly more difficult and fiddly. A lockpick keeps it simple. You’ll want to put the Sniper Rifle agency pick up in an easy-to-reach spot. Even when stowed given the size of a Sniper Rifle you’ll appear visibly armed whenever it’s in your possession. As such you’ll want to either want to pick it up in a location where you can easily sneak to the sniping spot without being seen or in a location where you can get your hands on a costume that allows you to be visibly armed. For the former I recommend the Shed pickup, for the latter I recommend the Basement Stairwell pickup. If you can, start the mission as a member of the tech crew in the AV center. If not you’ll need to make your way up there: the easiest way is to slip into the stairwelll towards the rear of the building and climb up one floor. There’s a tech here working; choke him out, take his clothes. If you’re concerned about hiding bodies there’s a box at the very bottom of this stairwell, and there’s not enough traffic that dragging him down two floors is much of a risk. Back where the crew member was just on the right and directly above the catwalk you’ll find the AV center. On the table here is the Fireworks trigger: steal it. Just grab it and walk briskly away. If you started as tech crew, the trigger is right in front of you when you start. At this point you’ll need to pick up the rifle and if you intend not to sneak with it pick up a bodyguard outfit. I’ll leave that part to you. Once you’ve got the rifle, head to the Western courtyard. In the distance you’ll see a tall tower that’s rising off a barge in the water. In the middle of the garden you’ll find steps down and a gate. Use the lockpick on the gate, head through to the barge and climb that tower. Once you’re at the top of the tower, sight up the balcony and the courtyard below. Trigger the fireworks. Dahlia will be first out, onto the balcony – don’t shoot her! Wait for Victor to also come out on the courtyard directly below her. Dahlia will move to the edge of the balcony and at this point Victor will be directly below her. At this point, quickly pop them both with the sniper. Guards will recognize the location of the shooter, so either get out of there fast or find a hiding place for when they arrive. Escape and that challenge is complete!